What’s a Bear to Wear? 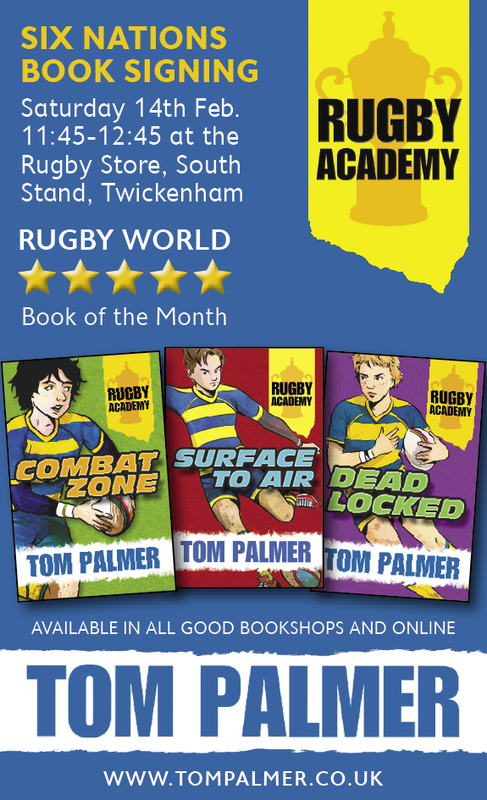 My latest series, Rugby Academy, was inspired by children of serving RAF personnel, and I used their input to get life as a Service child right. 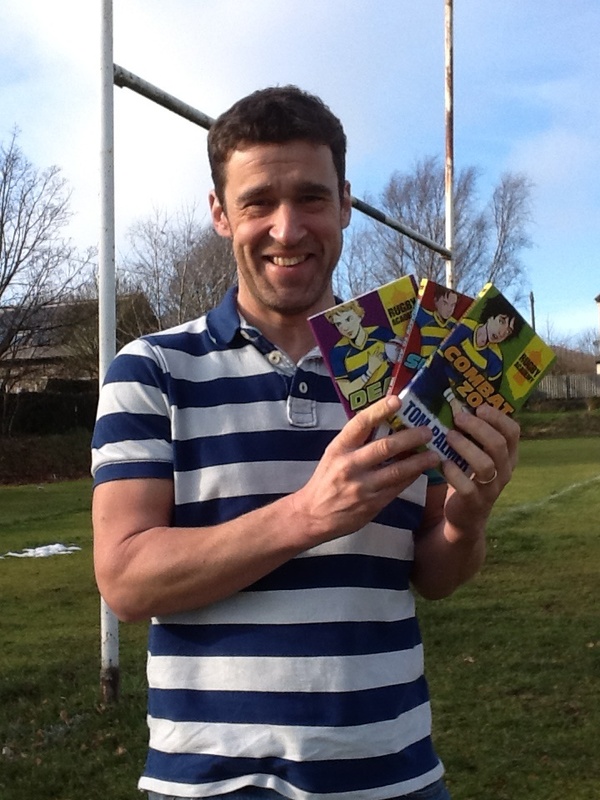 In the first book of this series, Combat Zone, football-mad Woody finds himself stuck in a rugby-obsessed British boarding school, as his dad is being deployed overseas. 2016 Rugby Academy : Combat Zone is a finalist for the Coventry Inspiration Book Award 2016! Jack is 8 years old and about to go into grade 3 at Western Province Preparatory School in Cape Town, South Africa. He has read all the Rugby Academy books so we were delighted to send him a special certificate. Each book comes with special player cards in the cover. You can play Top Trumps with the full set of player cards here. And look out for my special author cards! I f you missed any chapter from The Twickenham Trials during the Rugby World Cup , they have been compiled here. More here. Go here for posters, reading quizes and more. There are also special Welsh & New Zealand resource web pages. I’ll be visiting lots of UK libraries and festivals this summer. More here. I am currently working with Reading Force who promote sharing and talking about books with children in British Armed Service families. You can find out more about that here. I launched Reading Force at Le Cateau School in North Yorkshire, and managed to get the Head Teacher playing football in the school hall. 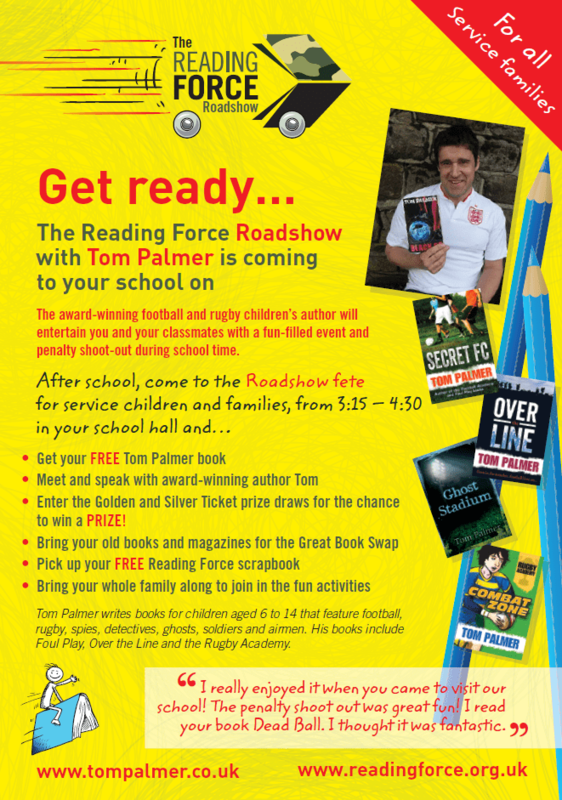 Find out about the Reading Force Roadshow here. Read Book Bag’s 5 star review here. Q&A with Sheringham Community Primary School pupils about Secret FC.